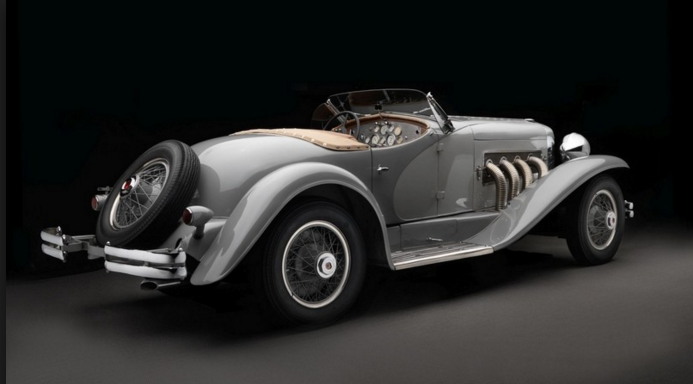 The Harvard Club of Naples cordially invites you to join us for a private tour of the Collier Car Collection. Please join us for a unique opportunity to privately tour this fascinating collection of racing cars. Founded by Miles Collier, this collection is a purposefully curated assemblage of the most profound and rare automotive innovations of our time. Miles Collier, along with his uncle Sam, are credited with introducing sports car racing to the United States during the 1930's. Then in 1986, Miles Collier acquired the Cunningham Museum Collection, which included the first Ferrari racing car ever sold in the United States and one of six Bugatti Royales ever produced. During the late 1980's and 1990's, Mr. Collier continued to grow his private collection of the finest, most original examples of sports cars. And in 2000, Mr. Colier began hosting symposia on collecting rare automobiles that gathered the worlds's most prestigious experts on preservation technique and theory. Above all, providing the automobile with a platform that demonstrates the influence that this modern invention has had on our culture and history remains Mr. Collier's mission. This mission was bolstered in 2011 by the acquisition of the Ludvigsen Library (containing over 7,000 books; 300,000 photographs, and hundreds of research files from Karl Ludvigsen, a former General Motors consultant and past editor of Car and Driver as well as Motor Trend magazines) as well as the acquisition of the Hearst Publishing Corporation's entire archive of Road & Track magazine. By preserving and digitizing this information for easier access by the public, Mr. Collier's Revs Institute seeks to serve as a platform for the next century of automotive innovation, on and off the track.